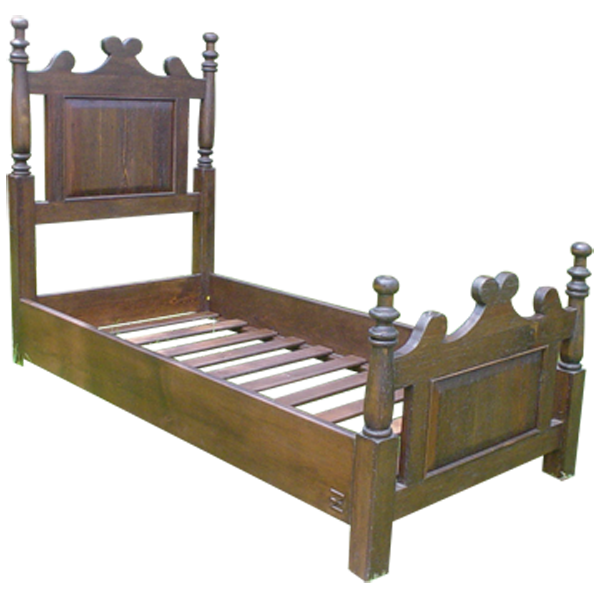 This lovely, handcrafted, Spanish colonial style bed is designed as a single bed, but we can also built it as a double, queen, or king size bed. The bed has a curved, colonial style, crested headboard with a matching footboard, and the front of each are adorned with a large, centered, rectangular cut panel. 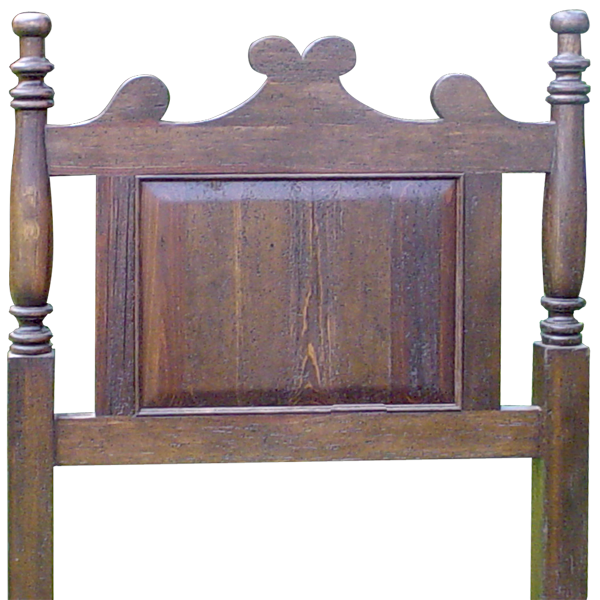 Both the headboard and footboard are framed with elegant, hand turned, side uprights, and each upright has a top, hand turned sphere. The bed has a solid wood, structural base, and it rest on square cut legs. 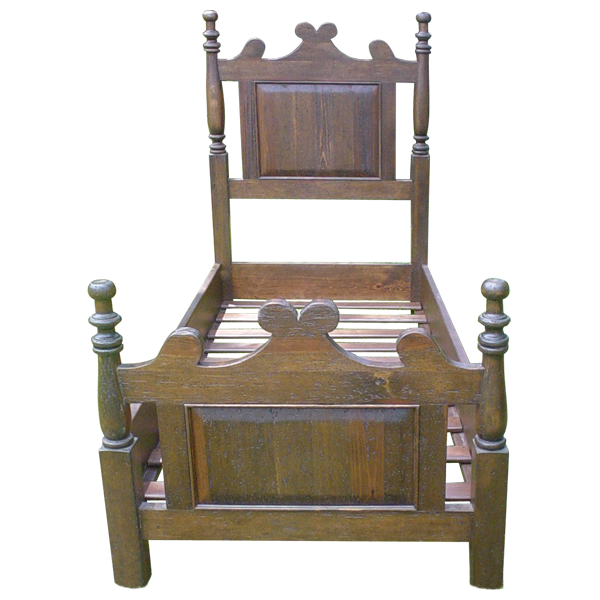 It has a beautiful, antique finish, and it is made with the best, sustainable, solid wood available. The bed is 100% customizable.